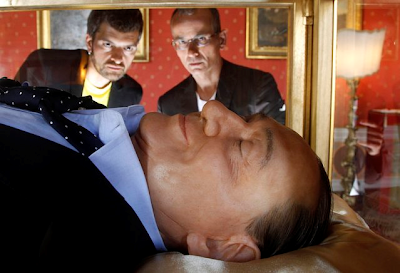 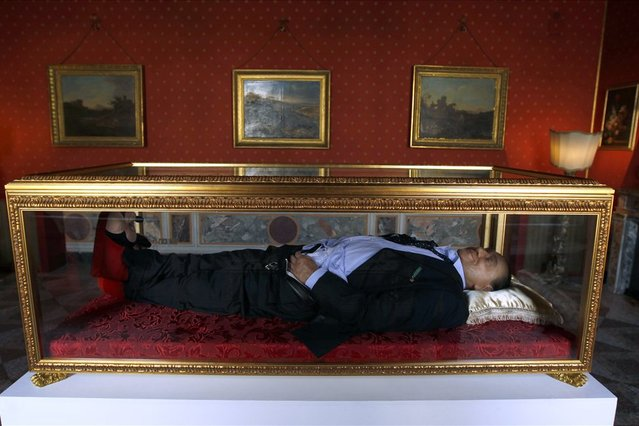 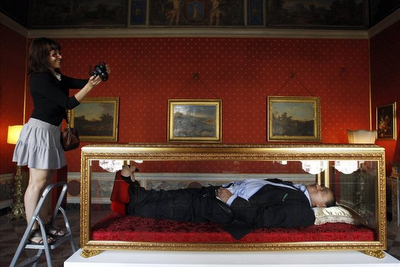 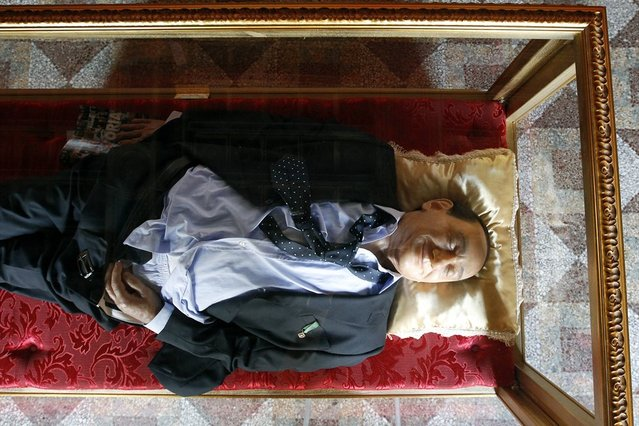 Presentation of The work of Italian artists Antonio Garullo (R) and Mario Ottocento (L), called “The Italian Dream” showing a wax figurine of Italy's former prime minister Silvio Berlusconi as being dead or asleep inside a glass shrine, is exhibited on May 29, 2012 at the Ferrajoli Palace in the center of Rome, Italy. In this controversial work Berlusconi is smiling, wearing funny slippers and the trousers open. 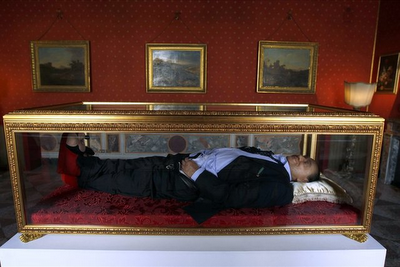 (Photo by Alessandro Bianchi/Reuters).